Win a 7 night diving holiday in the Red Sea courtesy of Monarch. Monarch have teamed up with Emperor Divers to offer a 7-night stay in either El Gouna or Marsa Alam for two. The prize comes with a 3-day diving course. We enquired whether there was an alternative for qualified divers and were told “Unfortunately there isn’t but there may be a mean of working this out with Emperor – the diving school for a further course“. Even so, there is still a free holiday to the Red Sea on offer. 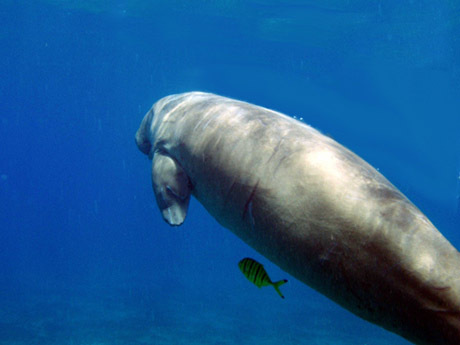 Marsa Alam is famous for dugongs and you can also see sharks, dolphins and turtles. It is close to the beautiful dive site Elphinstone. Diving Marsa Alam. Compiled from original footage by David Collins. The free holiday flights are from the UK (Manchester, Birmingham or Gatwick) to Hurghada. Enter at http://blog.monarch.co.uk/win-a-7-night-diving-holiday-to-hurghada/. The competition closes on the 24th July – Good Luck. Let us know if you win. 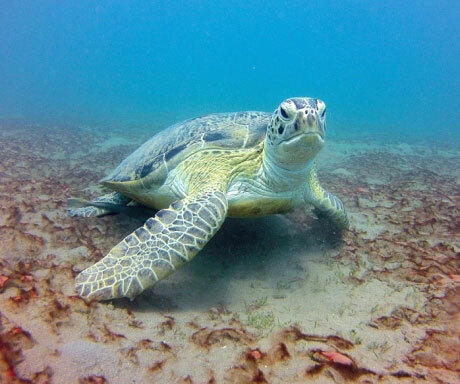 At Abu Dahab you may see Dugongs, guitar sharks and turtles in the sea grass area. Dolphin House Reef has been designated a protected area, to protect the shallow bay where the dolphin sleep. 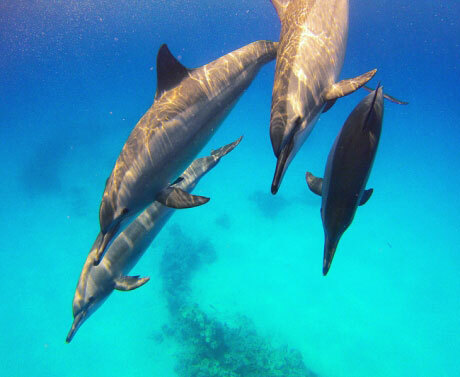 A day boat is used to reach this site, and attracts snorkellers who swim with the dolphins when they leave their protected area, as well as divers. 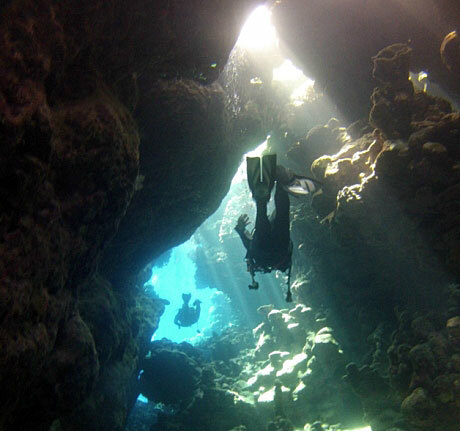 The Canyon is a beautiful scenic dive from the boat anchorage and round the coral pinnacles in the area. Although many of the bays around Marsa Alam have been developed with resorts and hotels, a few have been protected and make good shore dives.